Classic diamond shaped lollipop on a ring. Delicious hard candy with two flavor twists . Flavor combinations include: Berry Blast, Blue Raspberry Watermelon, Citrus Craze and Mint Chocolate Chip. 24 individually wrapped ring pops per display box. Ring pops are so beautiful to wear and even better to lick. These delicious rings are a great treat for kids. 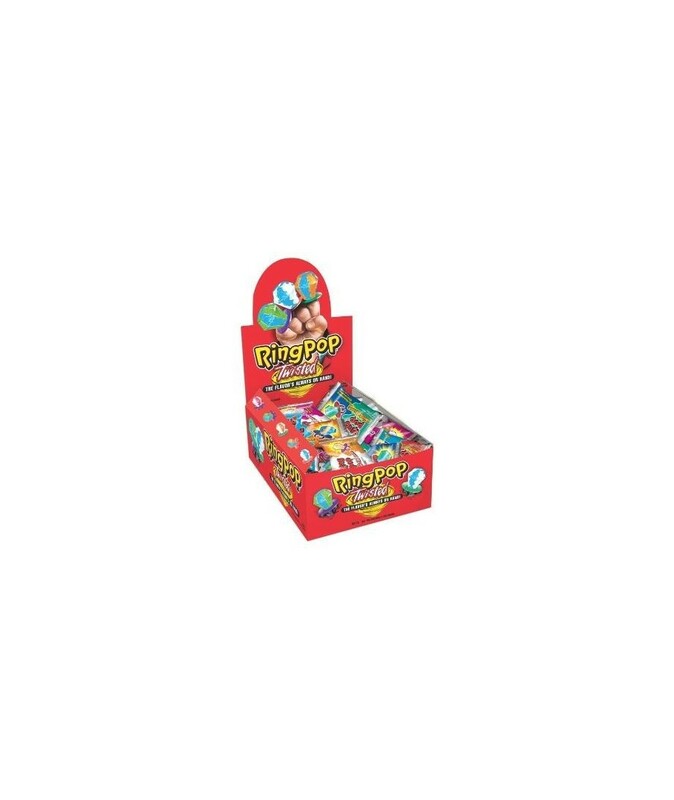 Order RING POP TWIST in bulk at wholesale price from Volt Candy Online. I gave this product to my son to school, after school he came back home and was like mom where did you get this candy from because it taste great.